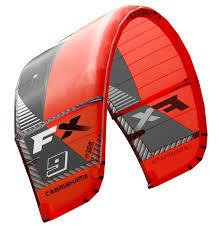 The 2015 Cabrinha FX Kiteboarding Kite is one of Cabrinha’s newest kites. 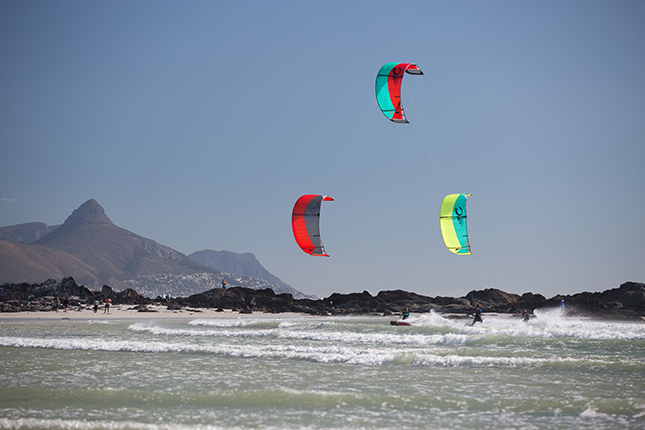 With its extended C-shape arc and three strut platform, this kite gives just the right amount of power for freestyle riding, fast turns and kite-loops while still hitting a soft landing. With its direct steering and quick relaunch abilities, the Cabrinha FX is a great kite for intermediate to advanced riders who want something that can fill the gap between going big and just cruzing. When I rode this kite I was impressed with its maneuverability, pop, and performance. It is the perfect kite for me to kite in bay and the flat waters of the Delta it allows me to do all my freestyle tricks, but still has the range to do down winders. 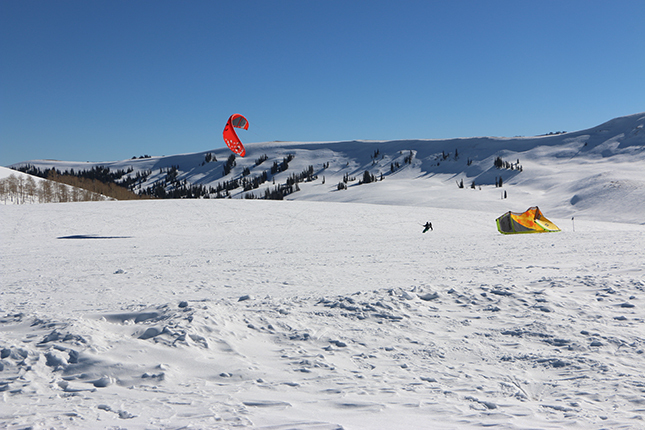 This may be my first blog post about snow-kiting in Utah, but I have been kiting all over Utah during the winter season since 2005. In 2004 I was part of a small group of back country enthusiasts that helped bring snowkiting to the US. This core group spent 2 winters traveling around the US in search of the best snow-kiting locations and conditions. Consistent wind, access, good snow, and open mountains with no trees were some of the elements we were looking for. We started in Montana and traveled the entire US in search for these conditions and ended up in Southern Utah at Skyline Ridge. Southern Utah has the best snow on earth (the state even engraved it on their license plate). 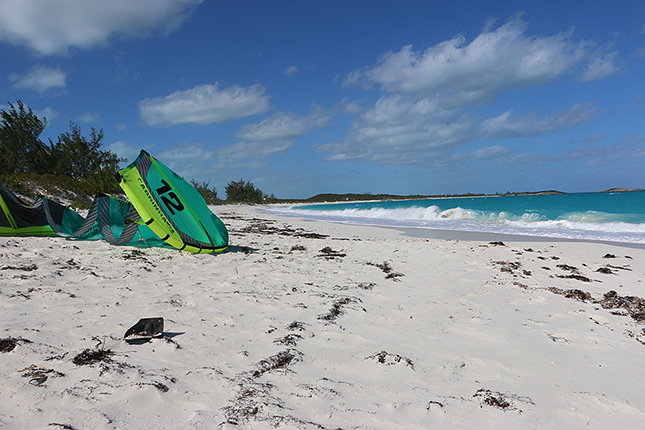 If you’re looking to get away from all the crowds and want a laid-back kiting trip or a family vacation, Little Exuma is a destination. We recently took a trip there, and it was super easy to get to and surprisingly affordable. We flew from SFO to Miami and from there it was just a short flight into Little Exuma. The Little Exuma airport is 20 minutes from the kite beach and only an hour from the Tropic of Cancer beach — it’s one of the prettiest in the Exuma Chain. We rented a beautiful 3 bedroom beach house in front of Tropic of Cancer beach and enjoyed day-long kiting sessions and evening BBQ’s on the beach. There was lots of adventure to be had, and it was truly an amazing kite vacation. I can’t wait to go back!